Last year was released the 3rd instalment from the movies “Crows”. As the first two films are my very favorite, I decided to give this one a chance. I know, there is no more Genji (Oguri Shun) as the story follows actions one month after his graduation, but there is too much young actors, who deserve a watch. 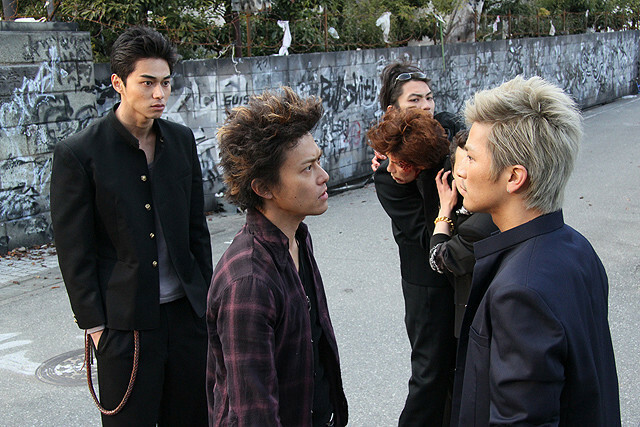 As we talk about Crows and Suzuran High School, we cannot say that the movie is for very young audience. The portion fight is 80% of the movie and even though the director is changed, we can hear again the emblematic songs from this story, which fill to the storyline even more action. I like the new characters, especially that character of Katsuji Ryo, who were extremely cute and very cool. I don’t really want to talk about the main character, who in this movie is Kaburagi Kazeo, played by Higashide Masahiro. And not that he’s not good, just he needs too much more to be like Oguri Shun. Other character that I liked is the head of Kurosaki Industrial High School – Shibata Hiroki, played by Iwata Takanori. This guy is just too cool and it suits him to play a role of delinquent. And of course, Yagira Yuya!!! This guy is the best! I don’t know what more I can say about him – his role, his acting… everything. Just the BEST! All in all, I liked the movie, the story was good as well, the music, acts and actors. It deserve a watch.